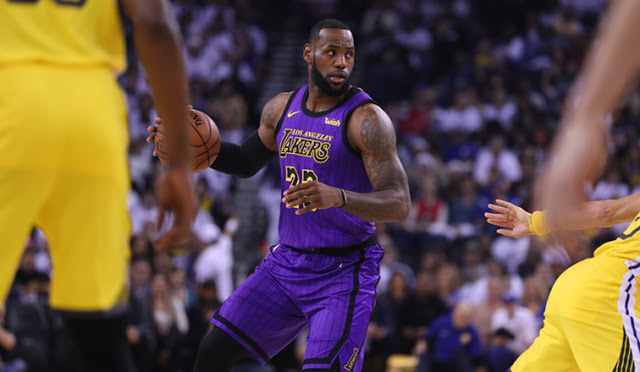 NBA – The defending NBA Champion Golden State Warriors dominated their NBA Finals rival Cleveland Cavaliers after beating them at their own house in a 118 – 108 win at Quickens Loans Arena in Cleveland, Ohio. The Warriors have now swept the 2017 – 2018 NBA Regular Season matches up to 2 – 0 record, one at home at Oracle Arena during Christmas day and the latest was at Quickens Loans Arena during MLK Day. Both teams show competitive game showing a glimpse of what game played like it is already an NBA Finals, despite the 2 game wins by the Warriors, the Cavaliers especially LeBron James gave it all but the defending NBA Champion is too much to handle where they are clearly the much better team. In the first meeting, the Warriors host the Cavaliers at home in Christmas Day celebration without their 2 – time MVP Stephen Curry who is nursing an injury, despite of that, it was a closed game not until the referee missed a foul that should have been called on Kevin Duran over LeBron James in the latter minutes of the final quarter that might change the outcome of the game if the foul was called? But then again it is not called that favors the Warriors to win the game. The second meeting in MLK Day Celebration, again it was a great game it was a glimpse of what the game plays in the NBA Finals both teams is almost complete and healthy and star players for both teams are present and ready to play, the first 3 quarters are very competitive as no team is able to pull away in the game not until the Warriors dominated the final quarter and sealed the game. 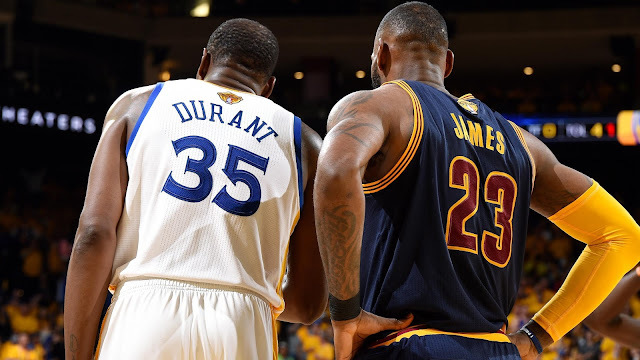 Both LeBron James and Kevin Durant arise as the best player for both their team finishing the game with game high 32 points each. The Warriors win improved their standing as the league best record with 36 wins and 9 losses, while the Cavaliers continues their losing skid to 4 straight losses, but still the 3rd best record in the East with 26 wins and 17 losses. The Warriors/Cavs season match is over and the Warriors dominated the Cavaliers, is there any chance that these two team faces again comes playoff time? Or should we say the NBA Finals? The Warriors is almost lock in getting back In the Finals, but the Cavs is questionable? Let’s just wait and see on what will happen?